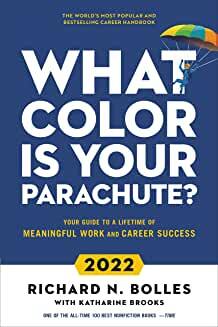 With more than 10 million copies sold in 28 countries, the world's most popular job-search book is updated for 2019 and tailors Richard Bolles's long-trusted guidance with up-to-the-minute information and advice for today's job-hunters and career-changers. November 25 2016 - The healthcare industry is ripe with increasing opportunity, and it's not just medical professionals who are benefitting from this ever-growing demand. Through to 2022, employment of medical and health services managers is expected to grow by at least 380,000 jobs, creating a growth of over 20%. Healthcare managers serve in a variety of roles to plan, coordinate and direct healthcare services within a range of settings and organizations. If you are hoping to land a healthcare management position, we've listed some of the main skills and traits that employers look for. Any management position will require you to be good at making smart decisions, but in healthcare management, this skill is even more necessary. When working as a manager in a healthcare setting, you may need to make decisions that will affect your staff and patients. Critical decisions will need to be made in line with ethical guidelines and taking into account economic and financial factors which contribute to the way in which contemporary healthcare services are delivered. Anybody who works in the healthcare field or has some experience of it will know that it is an industry where everybody is constantly on the lookout for ways to improve and make things better. The healthcare industry has advanced massively in recent years, and much of this improvement is due to innovative ideas for change and process improvement. Being able to identify areas where processes and other things can be improved is a hugely important skill in a healthcare management position. An MBA in healthcare management can be a great degree course to take if you're hoping to brush up on your process improvement skills along with learning more about the industry. Whilst working as a healthcare manager, you will oversee staff development. Therefore, having good abilities for evaluating talent and managing a workforce is essential. Whilst you can learn the key factors of what will make you a good healthcare manager by taking a healthcare management degree online, being able to form a good relationship with those under your supervision in the workplace is essential for good workforce development. You will need to be an empathetic and understanding individual who communicates well and others feel that they can approach. Finally, working as a healthcare manager means that you will need to have second-to-none time management skills. Many areas of the healthcare industry are very fast-paced, and as a manager, you will need to keep up in order to stay on top and continue providing your patients with the services that they need. A good knowledge of managing time, scheduling, and good employee management is essential for managing a well-run organization that offers the optimal level of service and care to its patients. Healthcare is a growing field that has high demand rates for a range of professionals. If you'd like to take advantage of the growing demand for healthcare professionals but don't want to work on the front line as a practitioner, management can be an excellent alternative. Copyright © 2000-2019 Alan Price and Job Skills contributors. All rights reserved.